Shoe cabinet made of Redwood reclaimed from other projects, including a defunct hot tub in the Berkeley hills. 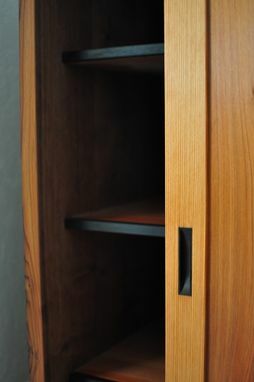 Shelf nosing is of ebonized Walnut. 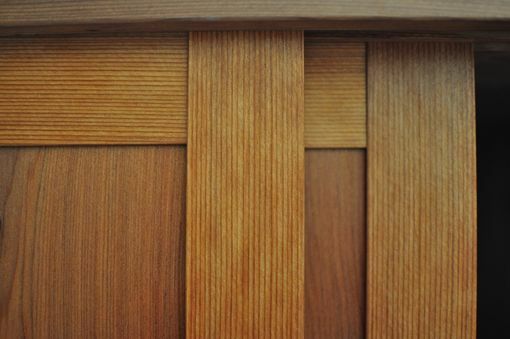 Solid wood panel case with mortise and tenon construction. 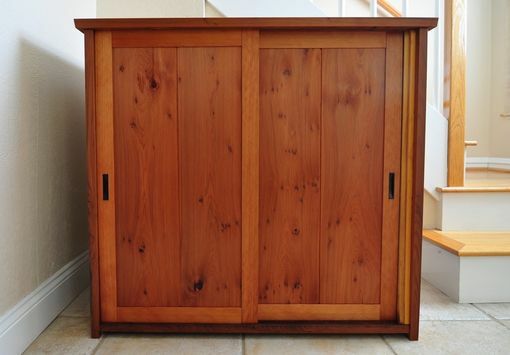 Sliding doors with planed panels.